The south of France has huge appeal toMontpellier, Herault, Languedoc-Roussillon, France, FR many, and Montpellier is one of the fastest growing cities in the country, with a great location in the warm southern region. Property here is expensive compared to elsewhere in France, but is cheaper than in the capital or the ever-popular Provence area. 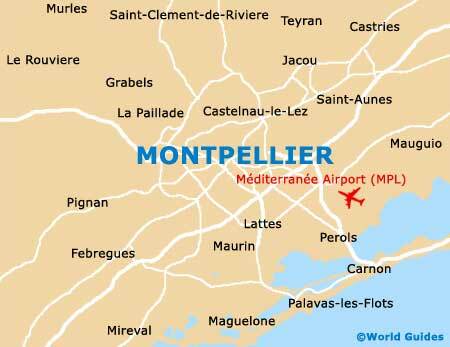 Savvy property investors find Montpellier property highly commendable and this is due to the warm climate, the rich cultural offerings, the interesting buildings, the modern city amenities and the rolling countryside filled with olive groves, vineyards and sandy beaches. The outlying villages of Montpellier are also popular and prices here are still steep, with Sete, Sommieres and Pezenas all proving their worth. There is an airport in the city, and all types of properties are on offer here from old country houses through to modern apartments. Renting serviced apartments in the city is a popular way to live and many business people choose to get six-month to one-year contracts for the best deals. Furniture is often included, as is air conditioning, although renters should be aware that running these units can significantly increase electricity bills. In the centre of Montpellier there are many apartments for rent close to the main business district, namely in Saint-Charles and Peyrou. Parking is not usually available at rented apartments, yet shared gardens are common. State-of-the-art appliances and modern amenities are not commonplace and although many apartments come fully furnished, others may need cleaning and redecorating. Buying property in France should be done via a real estate agent as a reliable agent will have an educated knowledge on the area and local prices, although most local people prefer to conduct sales privately. 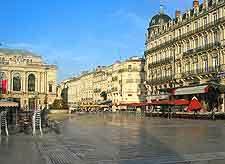 There are no restrictions on foreign ownership in Montpellier. Property in central locations is around three times the price of property on the outskirts, and parking is often a major problem. Taxes cost between eight and ten percent, but if the property is less than five years old it will only cost between three and five percent. Once a 'promesse de vente' (promise to sell) has been signed by both parties, the buyer has 11 days to withdraw the offer. Real estate agents are a vital part of purchasing property in France, as they hold good knowledge of the property market. Many of the agents in Montpellier speak English and can be found with ease via the Internet or the local telephone directory. This agency is one of the best in the area and its staff speak a wide variety of languages, from English and French through to Spanish and German. Catherine Mamet Real Estate has a wide range of villas, apartments and houses for rent and sale, and this agency handles many upmarket properties in Montpellier. Frances Immobilier has a decent range of properties on its books that are available for both rent and sale, and cover a variety of budgets and tastes.